Are you a horse business? Add yours today, it's 100% free. Are you a horse business? Add your FREE listing now! Did you know there are over 50,000 horse stables in the US? Yet there is no central directory… It’s time for a change! More Choices! We are actively growing our horse stable and horse business listings every day. We expect to have over 50,000 barn listings and another 30,000 service providers when finished. No more lists! Information displayed in an intuitive user-friendly layout, on a map. All you need to do is choose an area to see what’s around you. Reviews! Finally a central place to see horse people reviews on horse stables, farriers, equine vets and other horse practitioners, so you can choose with confidence. GoHorse’s priority is making life easier for the horse business owner (as the creator is a stable owner herself)! 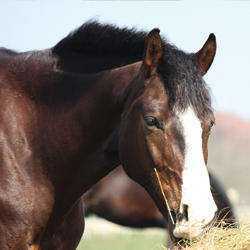 We are attracting happy horse owners and prospects who are loving the ease-of-use of our site. This reflects greatly on you. Completing your listing makes their experience all the better: they can see who you are in a glimpse and come to your facility with appropriate expectations which leads to grateful customers and easier management. Find the Horse Boarding Stable of Your Dreams Finally an easy view of horse stables and horse boarding facilities near you; whether you are moving your horse or have lived there all your life. 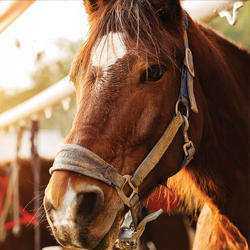 Find horse stables, farriers, equine veterinarians, feed, hay and tack at a glimpse! Read reviews and search for your specific needs using our exclusive filters. Filter by stables, farrier, equine vet, or feed hay & tack. SEE results on a map! This sends an important message directly to the listing inbox that there is interest in their offerings. Make a time to meet for a horseback riding lesson, facility tour, or book an overnight stay.